Well, later today we will probably hear of how the presentations of the five candidates went. There would be included in the day an all army inclusive question and answer time as well as a speech from each of the five candidates. Yesterday each candidate would have been provided an assistant in order to accomplish what they had to write and prepare for today’s proceedings and presentations. As each of the five candidates present their speech and answer the questions to the High Councils, the High Council will in turn assess each candidate. Finally, after the five candidates have all completed their presentations the High Council will begin to vote. If a general consensus or 2/3 vote isn’t accomplished on the first round of voting then the candidate (of the 5) with the least votes will be eliminated as a candidate and they move onto a second round of voting. It has happened in the past that a majority has voted on the first round and a General has been elected, but this is not always the case. 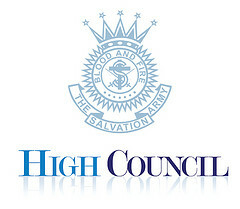 Thus, today is quite a crucial day in the proceedings of the High Council. Quite conceivably the High Council could elect its next General by the end of today or more likely tomorrow. There is much speculation as to who our next General will be given the list and profiles of the five candidates has been available to the The Army world who is on the outside anxiously watching and waiting. But we are not inside the High Council room. We cannot know the responses by the High Council to the presentations nor how the voting will take place. But we do know that soon, very soon we will have the announcement. We all have our preferences and our hopes within these candidates. Some of our concerns and preferences have merit while some are only personal opinions. Thoughtful consideration and prayer are truly viable aspects of this election decision. The office of the General, which is vacant at this moment will be filled very soon. 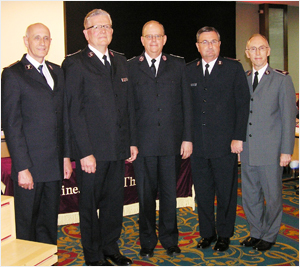 Please be in prayer for the High Council as well as the Candidates today as they have probably come to the conclusion of their participation already today. Wouldn’t you like to be in that room listening to the questions and the answers! THANK YOU for all the updates!!! !